shore. Fish swim through us. Previously published in The Puritan (Issue 41, Spring 2018). 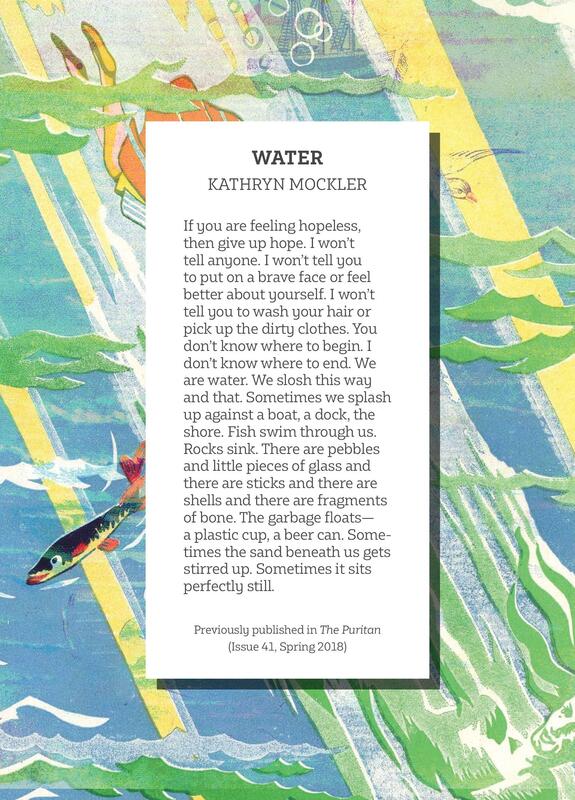 Kathryn Mockler is the author of four books of poetry and six short films. She is the Canada Editor of Joyland: a hub for short fiction, the Publisher of The Rusty Toque, and she teaches creative writing at Western University.